Mending metacognitive illusions: What does it take? Presentation Title: "Improving Student Success: Some Principles from Cognitive Science"
Abstract: Students are expected to learn a great deal of information, and as they progress from grade school to college, they are increasingly responsible for guiding their learning outside of class. Thus, students could benefit from easy-to-use strategies that support durable and efficient learning. I’ll discuss which strategies students believe are the best and which ones they use the most, and I’ll describe a variety of promising strategies that they should use. Although these principles from cognitive science are not a panacea for every learning challenge, they provide robust tools that will improve student success across many domains. Biography: Dr. John Dunlosky is a Professor of Psychology at Kent State University, where he has taught since 2004. He has contributed empirical and theoretical work on memory and metacognition, including theories of self-regulated learning and metacomprehension. Since his post-doctoral training at Georgia Institute of Technology, he has explored people’s metacognitive capabilities and how to improve them. 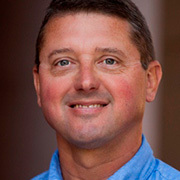 A major aim of his research program is to develop techniques to improve the effectiveness of people’s self-regulated learning across the lifespan. A fellow of the Association for Psychological Science, he is a founder of the International Association for Metacognition. He co-authored Metacognition, which is the first textbook on the topic, and has edited several books on metacognition and education. He also serves as an Associate Editor for the Psychonomic Bulletin & Review. Presentation Title: "Dual Processing Models in Medical Diagnosis: The Advantage of Thinking Fast over Slow"
Abstract: Perhaps as a result of the popularity of Kahneman's bestselling book, Thinking Fast and Slow, dual - processing models, which are ubiquitous in psychology, have achieved fame (or perhaps notoriety) as a model of clinical diagnostic reasoning. Although many applications of dual processing to psychology are explanatory, with no evident superiority of automatic or analytical processing, the particular model espoused by Kahneman, a so-called "default interventionist" model, postulates a clear superiority of analytical over automatic reasoning. However, the evidence for the superiority of analytical reasoning in everyday reasoning tasks is derived from the longstanding research program of Tversky and Kahneman, where special cases were devised to "trick" everyday reasoning. It remains to be seen whether everyday judgment is as inadequate as claimed in a more representative task domain. This theoretical framework has been exported more or less intact into medical diagnosis by Croskerry and a number of others, who claim unequivocally that diagnostic errors originate from cognitive biases related to System 1 (non-analytical) reasoning and are corrected (or not) by System 2 (analytical reasoning). Surprisingly the evidence for these assertions is essentially absent. By contrast, I, and others, have conducted a series of studies showing that analytical reasoning has minimal or no effect on diagnostic accuracy. Implications for education will be discussed. 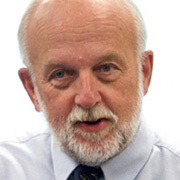 Biography: Dr. Geoff Norman is Professor of Clinical Epidemiology and Biostatistics, McMaster University. He received a Ph.D. in nuclear physics from McMaster University in 1971, and subsequently a M.A. in educational psychology form Michigan State University in 1977. He is the author of 10 books in education, measurement and statistics, and 300 journal articles. His primary research interest is in cognitive psychology applied to problems of learning and reasoning. He has won numerous awards, including the Hubbard Award from the National Board of Medical Examiners in 1989, the Award of Excellence of the Canadian Association for Medical Education in 1997, the Distinguished Scholar Award of the American Educational Research Association, Division I, in 2000, the Award for Outstanding Achievement of the Medical Council of Canada in 2001. He presently holds a Canada Research Chair. He was elected a Fellow of the Royal Society of Canada in 2007. In 2008, he won the prestigious Karolinska Prize for lifetime achievement in medical education research. He received an honorary degree from Erasmus University in 2010. In 2012, he was appointed the Querido Chair at Erasmus University. Presentation Title: "Correcting student misconceptions: Linking the Laboratory and the Classroom"
Biography: Dr. Elizabeth Marsh received her B.A. in Psychology from Drew University and her Ph.D. from Stanford University, where she worked with Dr. Gordon Bower and Dr. Barbara Tversky. She completed a postdoctoral fellowship at Washington University in St. Louis, working with Dr. Henry L. Roediger, III. 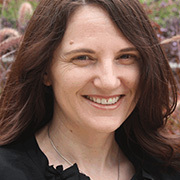 Dr. Marsh is currently an Associate Professor in the Department of Psychology and Neuroscience at Duke University, where she has been on faculty since 2003. Dr. Marsh’s research interests span the field of human memory, and include autobiographical memory, memory errors, and student learning. Presentation Title: "Retrieval Practice Improves Learning: Evidence from Applied Research in Middle and High Schools"
Abstract: Over the course of a eight-year project with more than 1,500 middle and high school students, extensive research has revealed that retrieval practice in authentic classroom settings improves long-term learning. We review our applied research findings and discuss our development of a retrieval practice implementation tool for teachers. Biography: Dr. Pooja K. Agarwal is a public servant, dedicated to bridging the gaps between education, teaching, research, and policy. 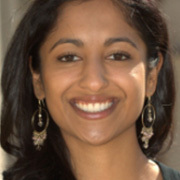 Currently, Dr. Agarwal is a Post-Doctoral Research Associate at Washington University in St. Louis, conducting memory research at local middle and high schools. She recently served as Illinois’s Director of K-12 Assessment, responsible for assessment development and administration for 2,000,000 students, implementation of a new statewide growth model, design of Illinois’s new accountability system, and management of a $43 million budget. Dr. Agarwal has teaching experience at elementary, middle, high school, and university levels, policy experience at the U.S. Department of Education and The College Board, and 10 years of experience in human learning and memory research. Presentation Title: "Tasks Desirably Difficult vs. Reducing Extraneous Cognitive Load"
Abstract: Two paradigms that have been used to facilitate student learning appear to be at odds with each other. The desirable difficulties paradigm aims to increase difficulty in learning materials to enhance long-term retention. The Cognitive Load Theory aims to reduce extraneous load by making tasks less difficult to enhance learning. In this talk, I discuss how these two approaches might be reconciled while also discussing the current state of educational research. Biography: Dr. Dan Robinson is Director and Professor of the School of Education at Colorado State University. He received his Ph.D. in Educational Psychology in 1993 from the University of Nebraska where he majored in both learning/cognition and statistics/research. Dr. Robinson has served as the editor of Educational Psychology Review since 2006. He is incoming Associate Editor of the Journal of Educational Psychology and has served as an editorial board member of nine refereed international journals. He has published over 100 articles, books, and book chapters, presented over 100 papers at research conferences, and taught over 100 college courses. His research interests include educational technology innovations that may facilitate learning, team-based approaches to learning, and examining trends in articles published in various educational journals and societies. Dr. Robinson’s scholarship has been recognized both nationally and internationally. He was named as one of the most published authors in educational psychology journals from 1991-1996, 1997-2002, 1991-2002, and 2003-2008, Contemporary Educational Psychology, 1998, 2004, 2010. Presentation Title: "Mending metacognitive illusions: What does it take?" 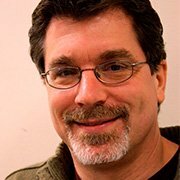 Biography: Dr. Robert A. Bjork(BA, mathematics, University of Minnesota; PhD, Psychology, Stanford University) is Distinguished Research Professor in the Department of Psychology at the University of California, Los Angeles. His research focuses on human learning and memory and on the implications of the science of learning for instruction and the self-regulation of learning. 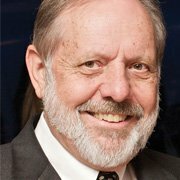 He has served as Editor of Memory & Cognition and Psychological Review, as well as co-founding Editor of Psychological Science in the Public Interest and Chair of the National Research Council’s Committee on Techniques for the Enhancement of Human Performance. He is a past president or chair of the Association for Psychological Science (APS), the Western Psychological Association (WPA), the Psychonomic Society, the Society of Experimental Psychologists, the Council of Editors of the American Psychological Association (APA), the Council of Graduate Departments of Psychology, and the Department of Psychology at UCLA. He is a recipient of UCLA's Distinguished Teaching Award, the American Psychological Association’s Distinguished Scientist Lecturer and Distinguished Service to Psychological Science Awards, and the American Physiological Society’s Claude Bernard Distinguished Lecturership Award. He is a Fellow of the American Academy of Arts and Sciences and his is a recipient of the Norman Anderson Lifetime Achievement Award from the Society of Experimental Psychologists.